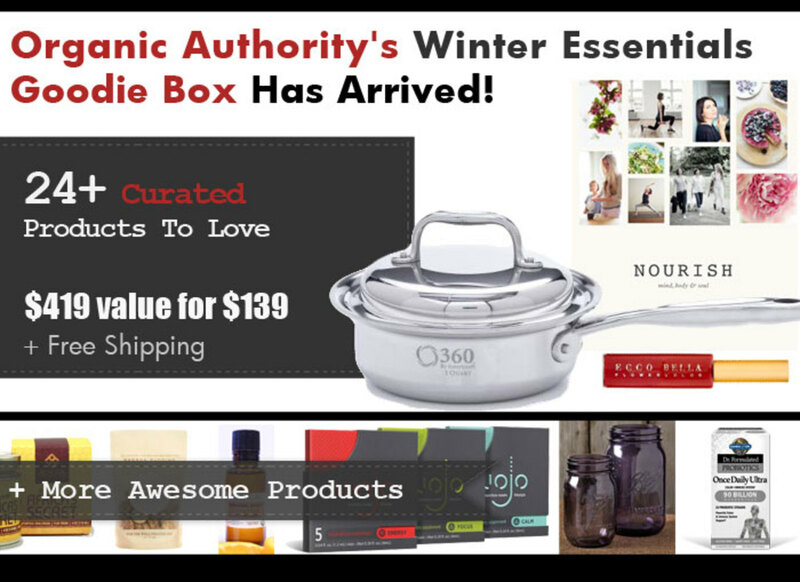 The weather is cold outside, but get toasty with a blizzard of hot eco-fab products in Organic Authority’s Winter Essentials Goodie Box, featuring more than 24 beautiful products from 15 different brands. This bundle is packed with the very best in eco-friendly non-toxic goodies, including 8 beauty + wellness + fashion, and 16 foodie + cooking products for everyone who wants the season’s best in their lives, namely you! 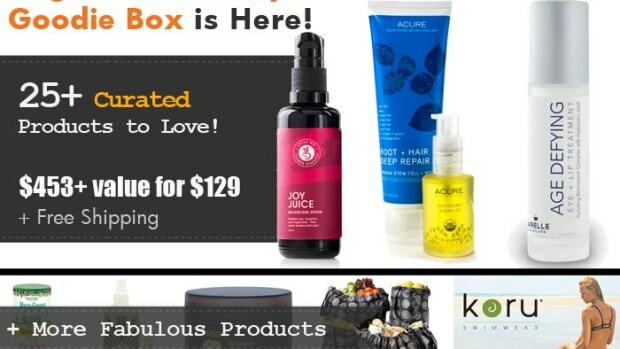 We only have 50 Goodie Boxes available, each filled with $419+ worth of products for the hot sale price of just $139.00 + free shipping! (That’s a 70% savings!). Beginning Friday, November 6th, we will reveal several brands per day. 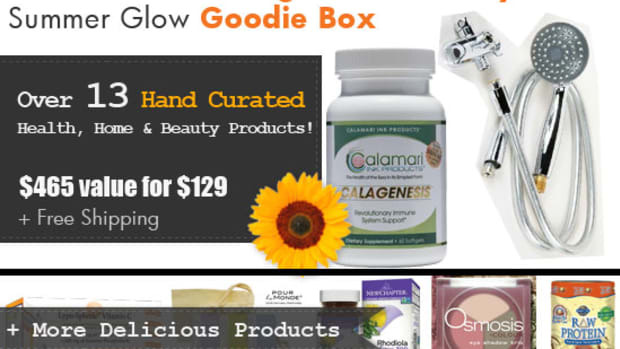 The Goodie Box will go on sale Monday, November 9th, 2015 at 8 o’clock am Pacific Time. Set your timers and mark your calendars–these will sell out fast. Buy one, two or three, for yourself and all your friends and fam! The last box sold out in just 20 minutes. This offer is only available to the first 50 buyers. When we are out, we are out! Check back daily to see what the big reveals are. 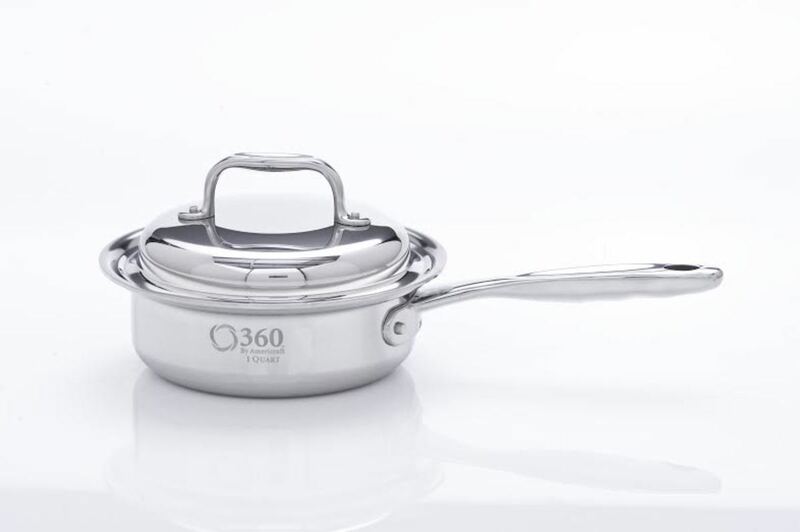 Become a veritable chef this holiday season and everyday with 360 Cookware&apos;s 1-quart Stainless Steel Saucepan, the perfect introduction piece to Vapor® Cooking. Whip up a melange of different kinds of vegetables without the worry they&apos;ll get mushy or their flavors will mingle. No need to add water, oil, lard, or butter, yet you&apos;ll still be able to experience the fresh flavor and nutrients of your food as never before. With its unbelievable capacity and unlimited versatility , this 1-quart stainless steel saucepan will likely become your favorite go-to kitchen utensil! The gut is the root of immunity and health. Nurture your gut-health during colder months and year-round with Garden of Life&apos;s Dr. Formulated Once Daily Ultra. It&apos;s a highly potent probiotic to support colon and immune system health every day. Formulated by the renown David Perlmutter, M.D., F.A.C.N., America’s Brain-Health Expert, Board-Certified Neurologist, #1 New York Times Best-Selling Author, Fellow of the American College of Nutrition, and Expert in the Human Microbiome. 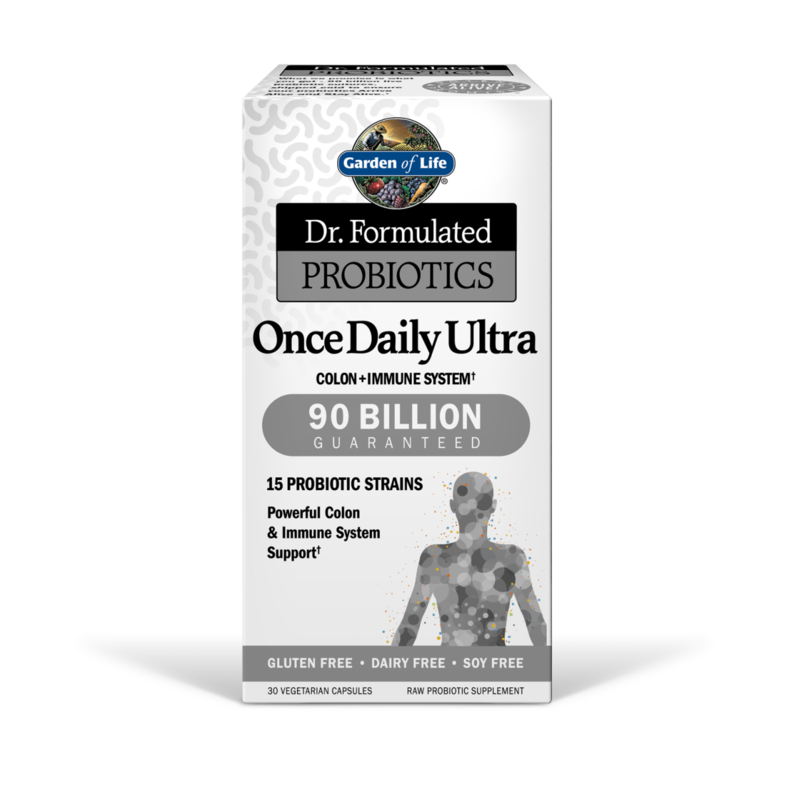 Dr. Perlmutter created Once Daily Ultra formula with 90 billion CFU of beneficial probiotics made from 15 diverse probiotic strains, including the clinically researched strain L. acidophilus NCFM®, and provides daily powerful colon and immune system support. Dr. Formulated Once Daily Ultra is hypoallergenic, gluten, dairy and soy free, vegetarian. Get winter-chic with Jelt Belt. 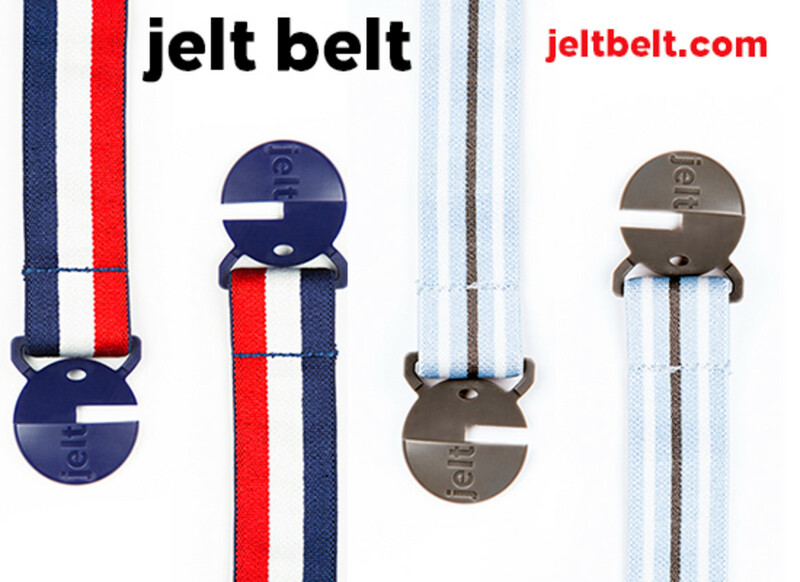 The Jelt is an elastic, unisex belt with a low-profile belt buckle, made to lie flat while you wear it. It’s a fashionable solution to two problems: bulging, and untucked tops and pants that ride down when you sit or bend. Invented by Jennifer Perry, the Jelt (Jen&apos;s Belt) came to life out of her own need for a belt that really worked. It’s a name that has extra meaning, though, because the Jelt uses a grippy gel to give it maximum hold and elasticity. As for the buckle, it’s designed to lie flat, so untucked tops don’t flare out. And since it’s non-metallic, there&apos;s no need to take it off at airport security! Sweet deal. Goodie Box customers will receive one belt in either Retro Red, White, and Blue, or Sporty blue. Size S/M. 24"-32" waist (fits most women and is very stretchy!). Canning season is upon us! Ball&apos;s new Purple Heritage Collection Jars are real head-turners. From Jarden Home Brands, makers of Ball® brand home canning products, celebrate the 100th anniversary of the Ball Brothers’ “Improved” mason jar. 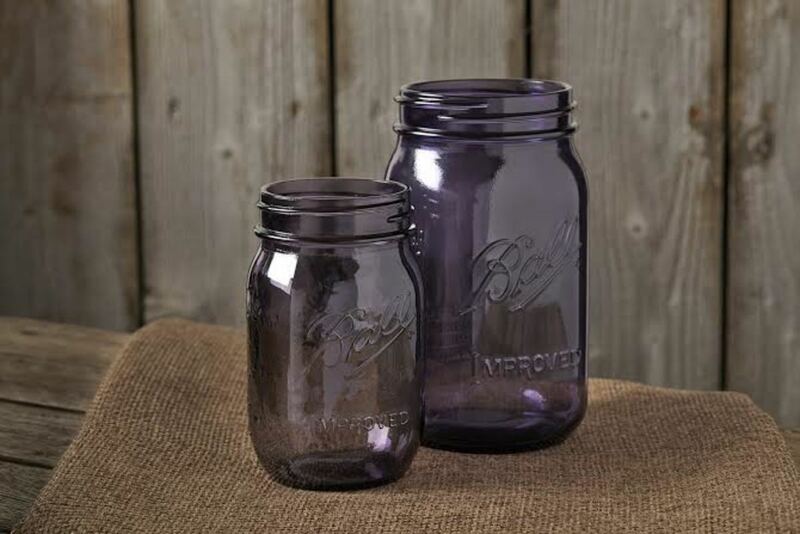 Available in pint and quart sizes, the Purple Heritage Collection Jars feature a vintage-inspired purple color and embossed logos on front and back, paying tribute to the classic amethyst jars, a collectors’ favorite. These limited-edition jars are the final release in Jarden’s Heritage Collection series following the success of Blue and Spring Green Heritage Collection Jars which commemorated the “Perfect Mason” and “Perfection” canning jars. Goodie Box customers will receive one Ball®Purple Heritage Collection Jar with Purple Design Series Lid, and one coupon valid for one case of any jars up to a $16 value. Coupons are redeemable in-store only. 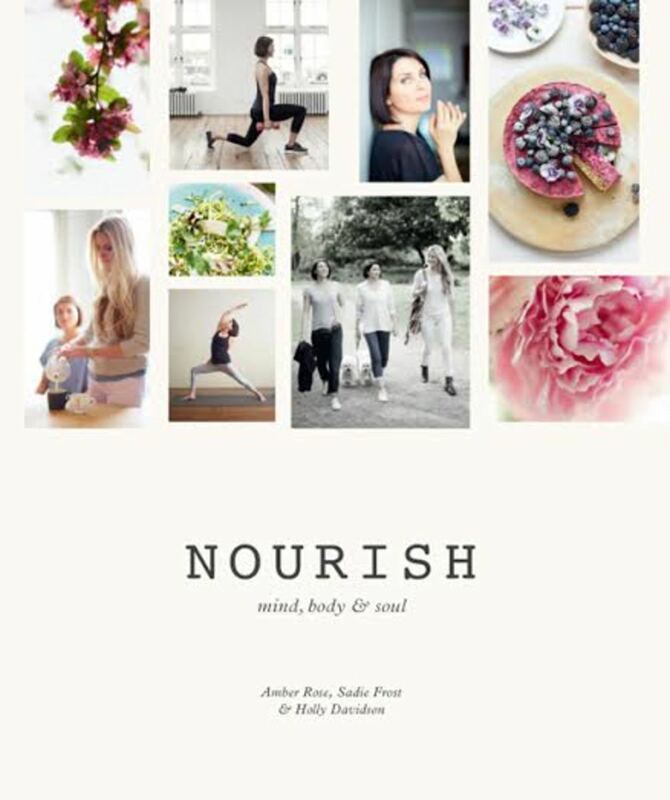 "Nourish" is an inspiring compendium by three women--three friends--covering good eating, well-being, and fitness and exercise, bringing you a holistic guide to caring for your mind, body and soul. In her Super-Food section, Amber Rose offers a delicious array of breakfasts, soups and salads, mains and desserts and treats. All of her recipes use seasonal ingredients rich in vitamins, antioxidants and immune boosters, and bolster good health as well as exciting the palate. Sadie Frost&apos;s Super-Woman chapter is full of inspiring ideas to keep you on track and serene, from simple recipes to soothe tired skin to tips for organizing your day as well as basic yoga and advice for meditations. Finally, Holly Davidson&apos;s Fit-Woman section is sure to motivate you and get you moving. There are tips on the importance of fitness, making time to exercise, and avoiding excuses, as well as helpful information on appropriate exercises through the years. The friends conclude their stunningly photographed book with two week-long programs for good living. Hardcover. Tell dry winter skin to take a hike! 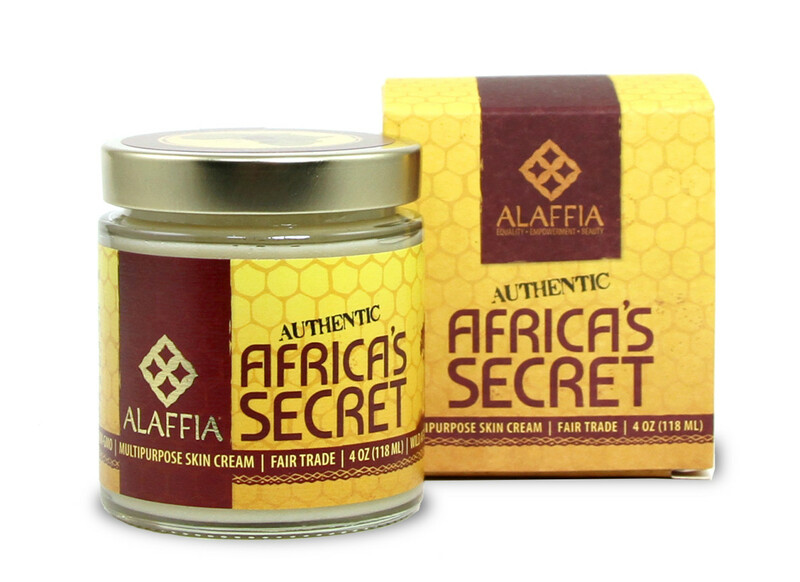 Africa’s Secret is a restorative multipurpose skin cream based on a traditional infusion of botanicals and bee products handed down from generation to generation. A great, all around moisturizer, thanks to the powerful healing properties of its 10 simple ingredients, including been propolis, royal jelly, and neem, all of which tout incredible soothing and healing properties. Ideal for dry skin, environmental protection, as a night cream, and for treating scars and skin discolorations. 4 oz jar. 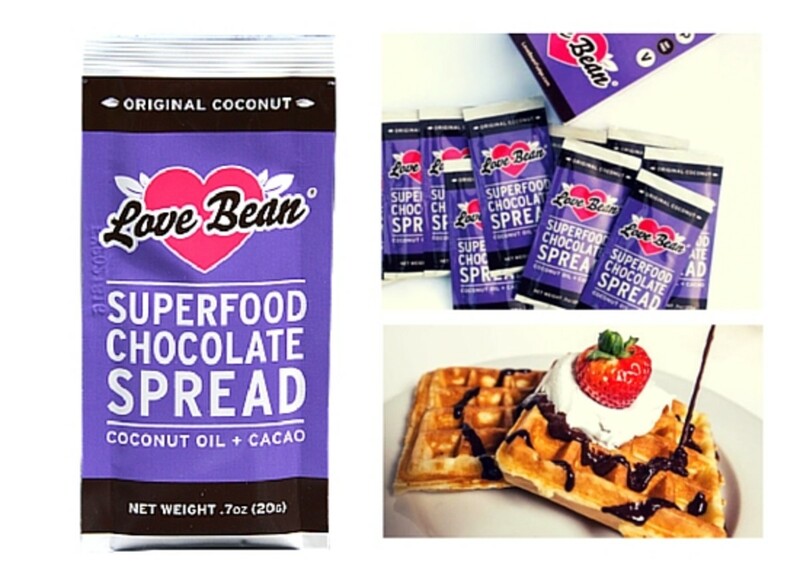 Love Bean Original Coconut is a velvety, rich dark chocolate spread sweetened with organic coconut sugar, and made extra creamy with hand-pressed organic coconut milk. The flavor profile is a deep dark chocolate with hints of coconut. Love Bean is in the business of pure and potent chocolate and other high-grade vegan and Paleo treats. The brand uses only organic ingredients in its spreads and always sweetens with delicious low-glycemic coconut nectar. Goodie Box customers will receive one container of Squeeze Packs in the flavor Original Coconut. Squeeze Packs contain 10 packets. Talk about classic red, and all-natural! Chemical-free and long lasting, Ecco Bella introduces a collection of FlowerColor makeup. Infused with flower wax, nature’s best-kept beauty secret, the same delicate coating that protects flower petals from the elements enhances your beauty. Mineral-enriched formulas create a protective layer that keeps the body’s natural moisture from seeping through makeup, so looks stay fresher and on the face, eyes and lips longer. Good For You Gloss has a pure shiny rich texture that’s never greasy or heavy. The unique applicator tube features the same built-in mirror as Ecco Bella’s bestselling mascaras, so there’s never a time when you can’t apply. Naturally preserved, gluten and FD&C dye-free. Goodie Box customers will receive one gloss in the color Passion. 0.13 OZ. Wojo is a cool new way to get the nutrients you need: ultra-portable single-use liquid supplements you can add to any beverage! All Wojo formulations have a base of six B vitamins essential to healthy nerve and cell development with additional herbal extracts, amino acids and other vitamins based on each formulation&apos;s purpose. Wojo is sugar-free, gluten-free, and vegan, and contains no added flavors, colors, or sweeteners. Wojo formulations are designed to meet common lifestyle needs. 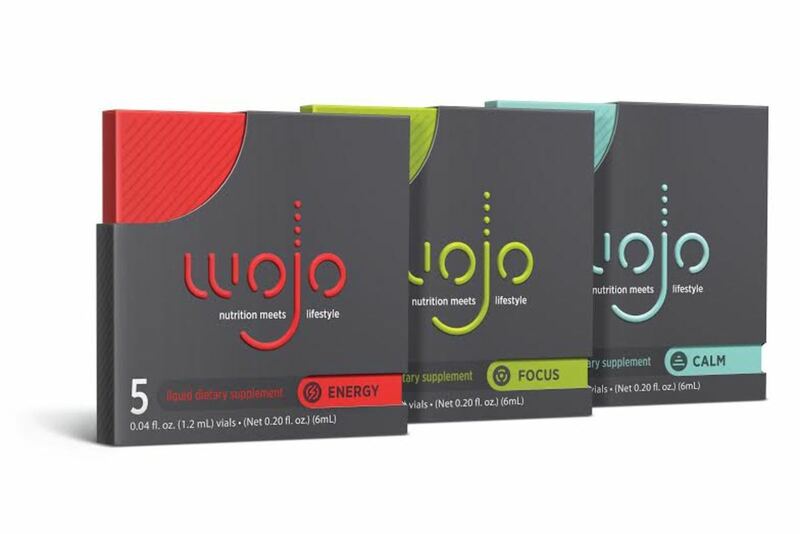 Goodie Box customers will receive one 5-Pack of each of three popular Wojo formulations: ENERGY, FOCUS, and CALM. Find your Wojo and feel better! There&apos;s nothing like some sweet orange to brighten your day, especially when the weather is a little glum outside. 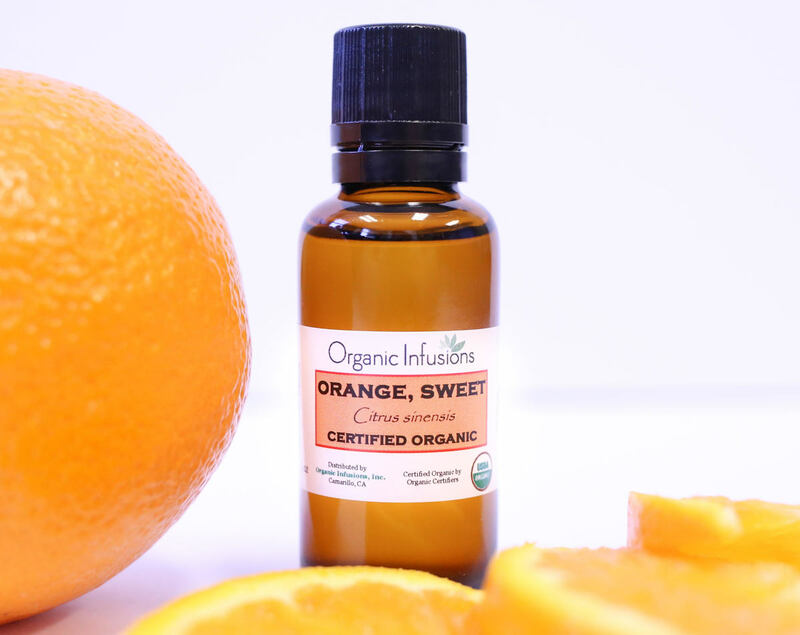 The Certified Organic Sweet Orange Essential Oil from Organic Infusions is trusted by premier spas, massage therapists, formulators, skin care companies, wellness centers, and yoga studios worldwide. The citrus, sugary sweet oil helps with nervousness, skin care, depression, colds/flu (read: great for cold-and-flu season!). It also can boost energy and help get rid of emotional worry. 1 oz. 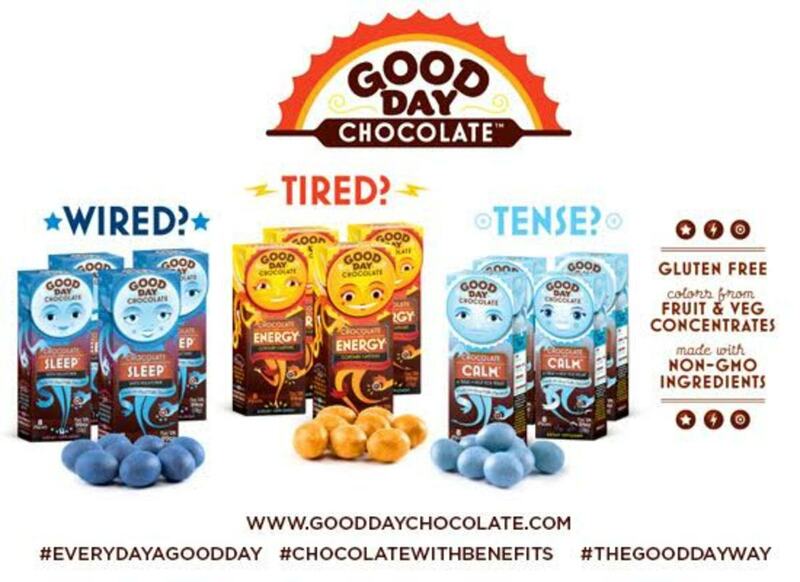 Good Day Chocolate makes "chocolate with benefits"--delicious candy-coated treats made for working adults. Get your dose of Energy, Sleep, or Calming nutrients in delicious candy-coated chocolate treats. Every package of Good Day Chocolate® contains two servings of the featured benefit. Need a pick me up? Energy is made with real dark semi-sweet chocolate and four pieces has an equal amount of caffeine as one cup of regular coffee, plus B-vitamins, amino acids, and herbs and roots--including ginseng. Need to relax? Calm is made with premium milk chocolate and a gentle blend of amino acids, vitamins, and botanicals that help you relax—without drowsiness. How about a little shut eye? Sleep has 1 mg of melatonin in every premium milk chocolate piece. Each ingredient is handpicked and included to produce the smoothest, most effective blend possible. #EverydayAGoodDay. 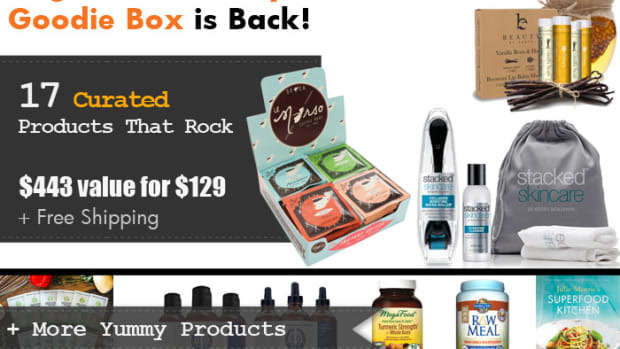 Goodie Box customers will receive one container of each of the three varieties: Energy, Calm, and Sleep. This holiday season, making a greener choice doesn’t have to mean sacrificing quality. 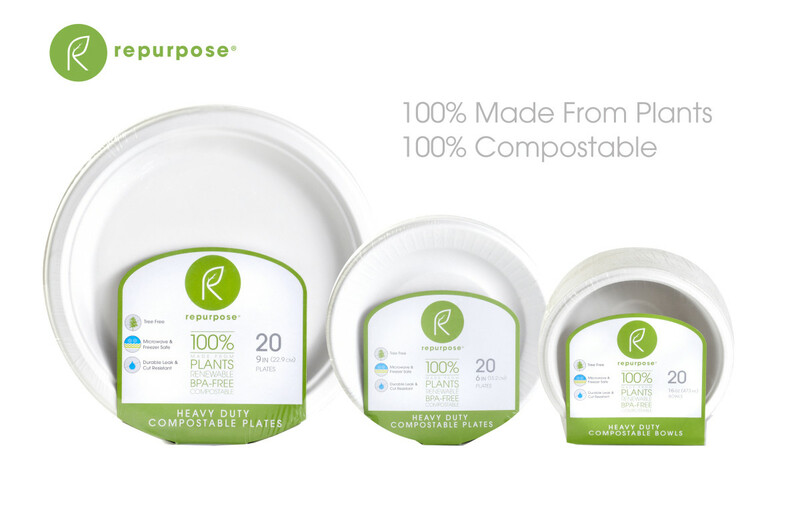 Repurpose single-use plates and bowls are sustainable, durable and made exclusively from plants including corn, sugar, and bamboo—all of which are annually-renewable resources. Unlike traditional plastic or even paper single-use plates and bowls, all Repurpose products are 100 percent compostable in an industrial composter in 90 days, which means they can return to our planet’s soil in a closed-loop system. All Repurpose products are BPA-free, chlorine-free, petroleum-free, and use only soy-based inks. What&apos;s more, fewer fossil resources are required to produce Repurpose tableware, which lowers our overall carbon footprint. Repurpose plates and bowls are also cut and leak-resistant so you can load up on cold, wet ice cream or warm soup in the microwave without any bending or warping. Talk about an eco-savvy host&apos;s dream! People get pie for the holidays. Now pooches can get dessert too—Tarte Aux Pommes, that is...and Banana Pudding...and Wild Berry Scones.... From dog walks and deadlines to dinner and drinks, our days are full of priorities. One of the special moments during a busy day is the time we spend with our dog. Why not take your dog’s treats to the next level? 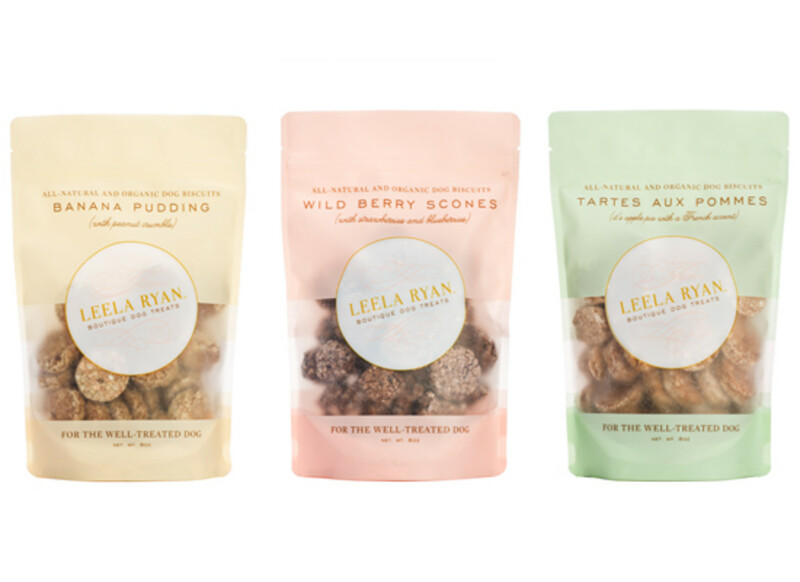 Leela Ryan boutique dog treats are so much more than biscuits—they let you focus on what’s important. These organic biscuits are made with all-natural fruits and vegetables—so you never have to worry about what’s inside. Three simple and wholesome ingredients in each bag—that’s it! Plus they’re packaged in style for a bag that looks chic on your counter too! Made with wholesome organic ingredients, like blueberries and bananas, and with flavors like Tarte Aux Pommes, Banana Pudding, and Wild Berry Scones, you may be tempted to keep them for yourself. Your dog will love them. Contains no corn, wheat, soy, or preservatives, or sneaky additives to spoil your day. 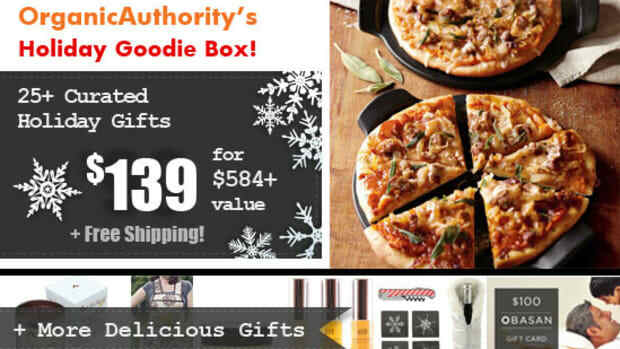 Goodie Box customers will receive one of the above-listed flavors (one pouch per customer). Talk about creamy and delish! 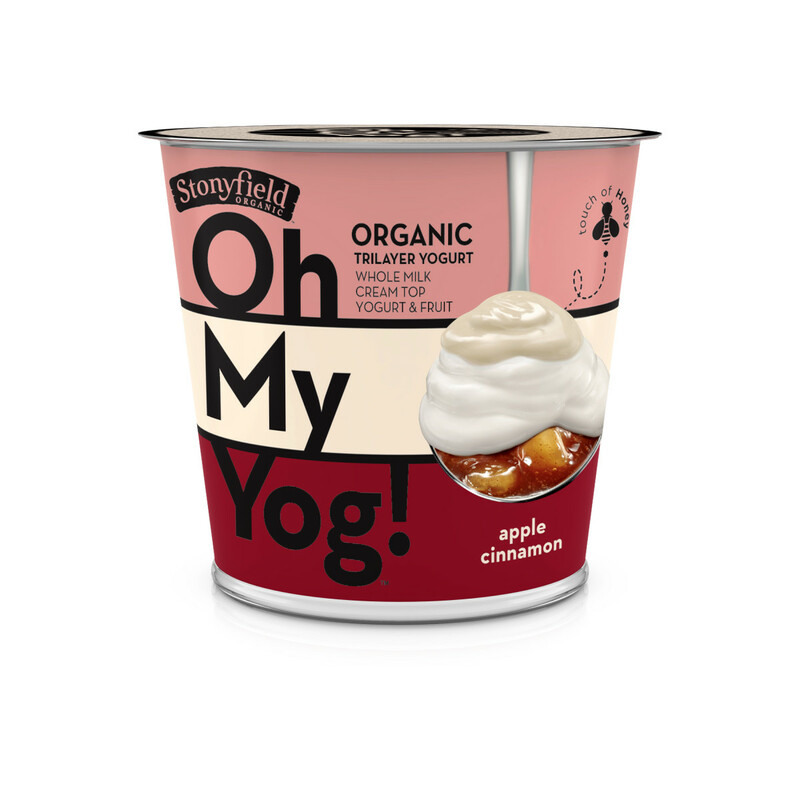 Stonyfield Oh My Yog! is made with organic whole milk and fruit, and comes in a completely unique three-layer format – fruit on the bottom, honey-infused yogurt in the middle, and a decadent layer of cream on top – for an everyday indulgence made even better because it&apos;s organic. Oh My Yog! comes in six decadent 6-oz varieties: Madagascar Vanilla Bean, Wild Quebec Blueberry, Pacific Coast Strawberry, Gingered Pear, Apple Cinnamon, and Orange Cranberry. Goodie Box Customers will receive six coupons, each good for one 6-oz container of Oh My Yog! Get your dessert on this season with delish treats from The Gluten Free Bar (aka The GFB). Created by two celiac brothers and a pastry chef, The Gluten Free Bars are made with easy-to-understand, all-natural and organic ingredients. Providing a good source of fiber and a complete source of protein derived from brown rice and pea protein (10-12 grams! 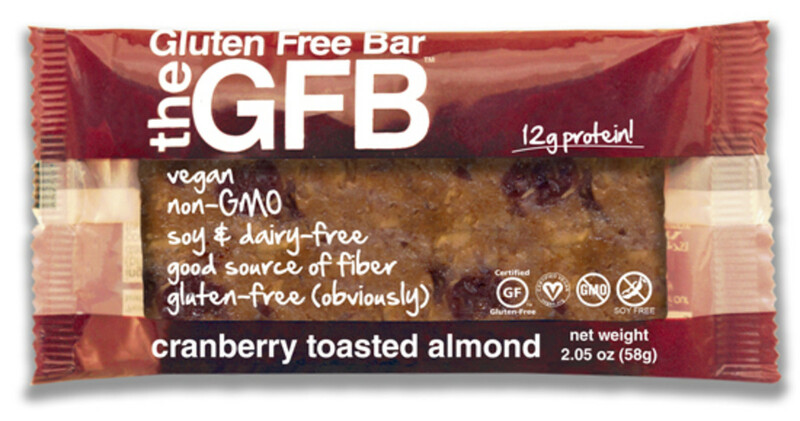 ), The Gluten Free Bars are Non-GMO Project Verified, free of fillers and additives, certified gluten-free, vegan and Kosher. The bars are also low in sodium, made with low-glycemic natural sweeteners, and completely free of wheat, soy, cholesterol, trans fat, casein, and dairy. An ideal breakfast or anytime snack, The Gluten Free Bars are chewy and moist on the inside and feature a lightly toasted crunch on the outside. The result is a texture and overall taste experience that is incredibly satisfying and memorable. The GFB comes in Cranberry Toasted Almond, Chocolate Peanut Butter, Peanut Butter, Coconut Cashew Crunch, Dark Chocolate Coconut, and Oatmeal Raisin. Goodie Box customers will receive one of each of the following flavors: Peanut Butter, Coconut Cashew Crunch, Cranberry Toasted Almond, Dark Chocolate Coconut. 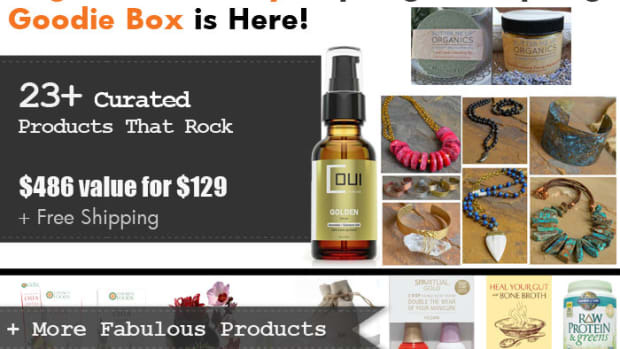 Total value of the Organic Authority 2015 Winter Essentials Goodie Box:$419.55. *This article was updated on November 23, 2015 to correct that the coupons for Ball are redeemable for in store use only. The article previously listed free shipping with the coupon. 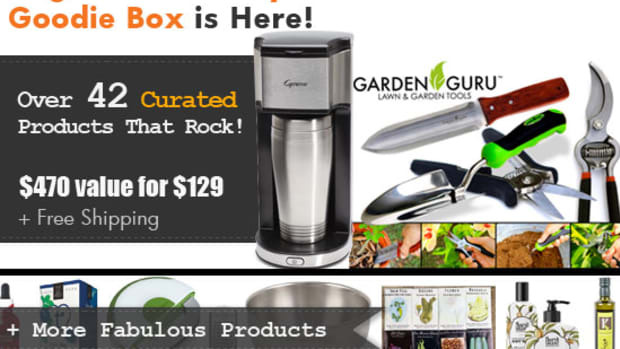 Sale Price: $139.00 + free shipping! That’s a 70% discount! The box goes on sale Monday, November 9th at 8 o’clock am Pacific Time. Set your timers and mark your calendars–these will sell out fast. Buy one, two or three, for yourself. This offer is only available to the first 50 buyers. When we are out, we are out! *Note the Ball®Purple Heritage Collection Jar with Purple Design Series Lid description was updated on November 6th at 2:50pm PT to correctly reflect the inclusion of the full screw top lid for the jars. 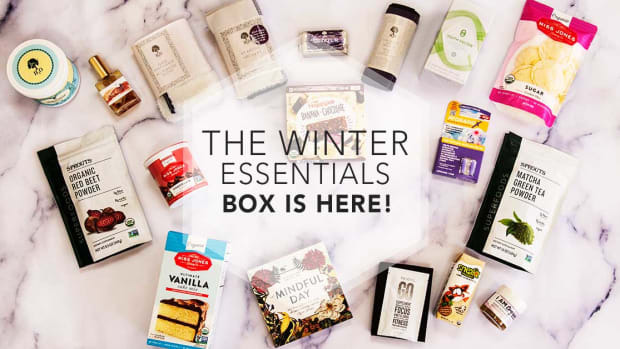 The Winter Essentials Box is Here!